Named for the shade of paint coating its metal structure, stroll across the Purple People Bridge to experience some of the region's most popular attractions or sit on one of its many park benches to enjoy the riverfront views and passing boat traffic. 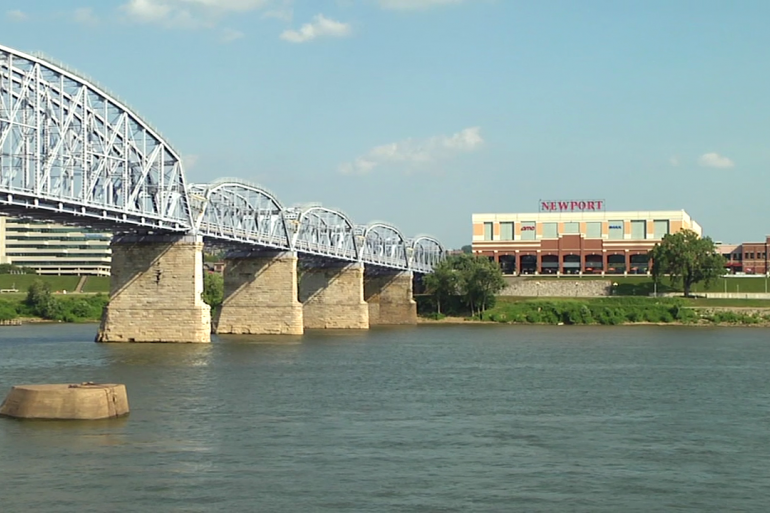 First opened in 1872 as Cincinnati's first railroad bridge spanning the Ohio River, the L&N Railroad Bridge evolved through the years to accommodate streetcar, pedestrian and automobile traffic before becoming a pedestrian-only bridge in May 2003 and was given the nickname Purple People Bridge. At 2,670 feet in length, it is the longest connector of its kind in the country that links two states. 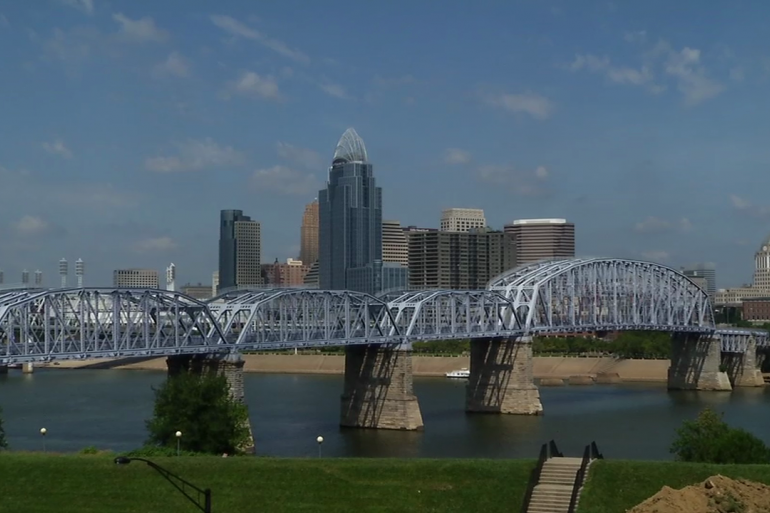 Because of its location in the heart of the region, walking, running or biking across the Purple People Bridge is a quick way to access the riverfront attractions in Cincinnati like Sawyer Point, Montgomery Inn Boathouse and Cincinnati Reds games or Newport on the Levee, BB Riverboats and Hofbrauhaus on the Kentucky side of the river.